Holiday Shopping @ Best Buy!! Coupons Attached!! 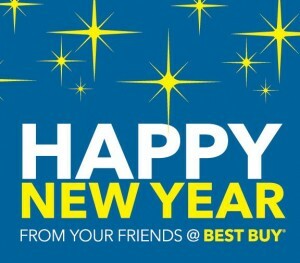 This holiday be sure to swing by Best Buy for all your technology and appliance product gifting needs. Their assortment is second to none and with technology evolving and becoming increasingly complex- Best Buy is here to help make it easy for you to choose products and services that work best for you. Best Buy offers a market-leading selection of the hottest tablets, smartphones, gaming consoles and titles, wearable technology, health and fitness gear, mobile accessories and much more. They also features more than 100 products exclusively sold only at Best Buy this holiday. Best Buy is home of the Geek Squad for help installing, repairing, troubleshooting, optimizing and offering all sorts of technical advise from every Best Buy store, in-home, online and by phone. Blue Shirts and Geek Squad Agents are passionate, highly trained, knowledgeable and impartial so they can help ensure you get the perfect gifts for your family and friends…and even yourself! They know price is important to us so their Low Price Guarantee will ensure you’re getting the most competitive price possible. The combination of BestBuy.com and their 1,400 stores offers the ultimate showroom to touch, test, try and buy the latest technology. At Best Buy you can see and try all the phones, carriers, plans and accessories under one roof with industry-leading trade-in options. And for tablets you ask? Best Buy is the only place in America where customers can see all of the latest and greatest tablets. And as for computing, Best Buy features the best selection, advise, services and support in computing. They help set the market by working with the industry’s tech leaders to develop a highly specialized and innovative assortment of laptops, many of which are only available at Best Buy. This holiday don’t procrastinate or let your shopping list stress you out. Get all your loved ones a gift that they will absolutely love and cherish by visiting your neighborhood Best Buy store or simply visit BestBuy.com online to get all your shopping done in the comfort of your own home! They have a huge selection of the hottest items this holiday including the following: smartphones, gaming consoles (yes even the brand new Xbox One and PS4), home theater, digital imaging, music/movies/musical instruments, mobile accessories, computing, tablets and much, much more! Best Buy is offering two awesome coupons just for US! The first offer includes 15% off Health and Fitness items as well as Fisher Price and Mattel toys-you can view this printable coupon HERE! You can use this coupon in store or online and it is valid through 1/18/14. Best Buy is also offering a printable coupon for 10% speakerphones and portable headphones (excluding Bose, Beats & Sony) that can be viewed HERE! This coupon expires 1/18/14 as well.